My mother is helping with the rent on the studio. Talked to a very helpful woman at the school district about renting a school gym for classes — lots of steps and timing. Waiting for FedEx to bring my new custom iPod which I intend to load with inspirational music for my students. Making a custom hoop for Rick Nielsen of Cheap Trick today! Fire hoop training on Saturday! Gotta do taxes…lots of write-offs this year. sheesh. not even out of my pjs yet and I’m exhausted! but in a good way. Looked at a beautiful studio today. Will this be my space for hoop classes? I did some number crunching and think I will have to fine a part-time gig in order to follow my bliss. dang! It’s not the end of the world, just a little reality check. It’s still an amazing space and could be very inspirational for my students — and me too! 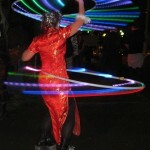 I’m sending out good vibes this morning in hopes of finding a wonderful space in which to teach hoopdance long-term. Inner east side would be ideal, weekday evening availability would be lovely. A school gym? A church basement with very, very tall ceilings? I’ve been looking at Portland Parks & Rec, neighborhood studios and dance halls, big-name gym classes, etc. but would love to find that perfect fit. Any parents out there have access to their child’s gym year-round? 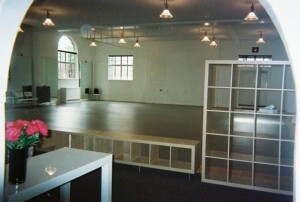 Is there a new, cozy dance studio I haven’t discovered that needs one more tenant? I know I will find that space…the space filled with amazing people spilling exuberant energy out into the room. Going to see a space on Saturday. It looks GORGEOUS! And it’s close by. I envision myself riding my bike to my lunchtime hoop classes during the spring and summer greeting my happy hoop students and filling the dance studio with positive vibes that radiate out into the neighborhood!!!! The HulaHoopla site is up!!!! I still have a lot of content to add and get a Facebook fan page going and join the tweetsters but it’s coming together nicely and it feels great! The website is almost ready. I’m trying to suss out the contents and figure out how to compact information without leaving out anything important. I have so much to learn! I applied for a trademark for my hoop business name. No turning back now!